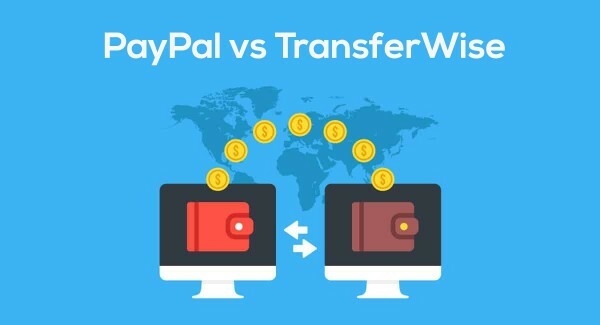 PayPal vs. TransferWise: what's cheapest for foreign transfers? ⌂ > Payment Processing > PayPal vs. TransferWise: what’s the cheapest service for foreign transfers? International transfers or foreign-currency transfers with currency conversion involve high fees if made through the bank. PayPal and TransferWise are cheaper alternatives. What is the cheapest platform? Are they reliable and easy to use? Do they offer additional services? Let’s compare the two services. With PayPal, the transfer occurs between two accounts registered on the platform. For this reason, it is enough to indicate the recipient’s email address to send the sum instantly. TransferWise’s transfers are instant if they occur between registered users of the site, but bank details are required. That being said, TransferWise is able to send wire transfers to people or companies not registered with the service. In this case – just like a normal bank transfer – you add the required information (receiver’s name, IBAN, BIC/SWIFT) and the amount will reach the recipient’s bank account within a few working days. So it is faster to send payments with PayPal, while TransferWise prefers to optimise the economic aspect of the transfer by having low and transparent rates. International transfers in foreign currencies are cheaper with TransferWise. They do not charge increases on the exchange rates, because the company uses its own accounts in the recipient’s country. How? TransferWise does not literally transfer money from one country to another – instead, they transfer the requested amount from TransferWise’s own account in the recipient’s country to your recipient. This way, the surcharges that normally apply to cross-country transfers do not apply to TransferWise, allowing them to only charge a small fee from users. This fee is noticeably lower than both bank fees and PayPal rates. TransferWise always uses the real exchange rate without surcharge. Instead, the sender pays a commission fee. Currently, the GBP-USD conversion incurs a 0.4% fee of the amount sent. With money received in your PayPal account, you pay an increase of 2.5% on the base exchange rate to convert it into another currency. 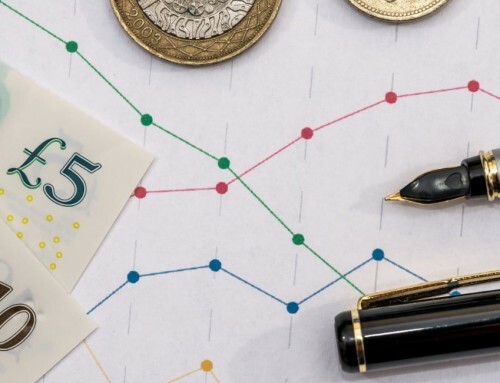 For sending money that is not in GBP, a currency conversion fee of 3.5%-4% is added to the base exchange rate plus a cross-border fee of 0.5% for UK-based account holders. In addition, a fixed commission of £1.99 is applied to transfers to Europe, Canada and the United States, or £3.99 if you send to the rest of the world. PayPal offers additional features for both companies and consumers. 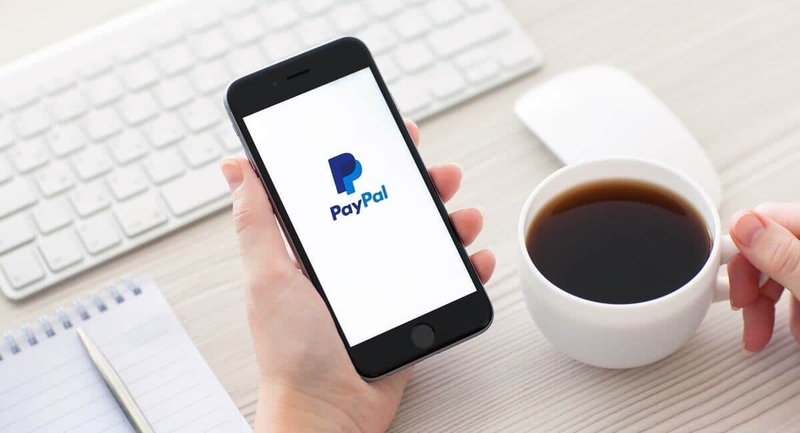 Businesses can integrate a practical and secure payment system on their ecommerce website so their customers can pay easily through PayPal’s anti-fraud protection system. After signing up online, customers can pay on websites by clicking a PayPal button, logging in with their credentials and confirming the transaction. The payment is then transferred immediately to the merchant’s account (the customer does not pay fees to PayPal). TransferWise is a specialised service for international bank transfers and does not provide additional features for commercial purposes. Both companies have dedicated apps for checking your balance and place transactions directly from a phone or tablet. These apps are available for free in the App Store for iOS/Apple devices and Google Play for Android devices. In the TransferWise app, a calculator tells you exactly how much the recipient will receive based on the amount you want to send, or you can edit how much the recipient should receive in their currency and it will tell you the amount to transfer. The same functionality is available on the site for all visitors, with the option to compare the costs of TransferWise to its main competitors. The tool effectively promotes cost savings: as you’re able to quickly check the currency exchange rate, it becomes easier to make the transfer at the best moment. PayPal does not have such a calculator, but tables are available on the website showing the exchange rate applied. It will, however, still be possible to verify the commissions applied before submitting a transfer. Being cheaper for foreign currency transfers, TransferWise understandably focuses on cost transparency. TransferWise users can request a Mastercard debit card combined with a multi-currency account, free of charge. 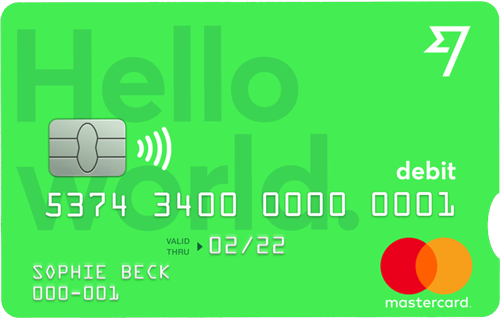 The card can be used all over the world to withdraw cash or use in stores accepting Mastercard – without expensive conversion fees. 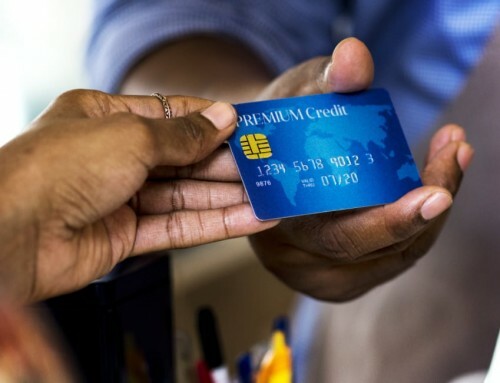 As it is linked to a borderless account, the card automatically uses the most appropriate currency among those available in its balance when making a purchase or withdrawal. For example, if there are euros and US dollars in the account, dollars will automatically be spent if the card is used in the United States. PayPal has a prepaid card that can be topped up if necessary, but it has no advantages around currency conversion. 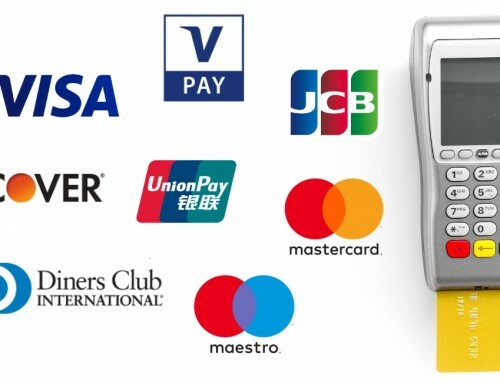 In fact, top-ups and monthly non-usage of the card incur high fees. Although positive that PayPal offers customer support by phone and email 24 hours a day 7 days a week, there a quite a few negative reviews from users who tried to get help from customer service. Long waiting times, inaccuracy of information received and sudden account freezes (especially for Business accounts) are just some of the common criticisms by users. Consumers also report issues with the anti-fraud protection system, which – apparently – tends to unfairly favour the retailer. TransferWise’s support is available by phone, email and live chat. They get a lot of positive reviews by users and have no particular recurring complaints, except for waiting times which can be a little long at times. There are clear, functional differences between the two money transfer platforms. TransferWise can be used for international transfers through the bank transfer system or as a practical, multi-currency account with a debit card that can be used worldwide. Today, PayPal is primarily intended as a payment system in online stores. As we saw in the table calculations above, PayPal’s fees – made up of fixed commissions, additional tariffs for foreign transfers and increases on the exchange rate – make the service more expensive for personal money transfers in foreign currency. PayPal is mainly useful for online payments and personal, same-country bank transfers that avoid currency conversion.